Peter Elliott’s first taste of a television career started with a hammer. Before finding work in set construction, Elliott had a ‘wealth’ of jobs. “I call it a wealth," he says. "Other people would call me serially unemployed.” But at the age of 22, he finally found his calling — television. Building and painting sets for shows like Woolly Valley, It is I Count Homogenized and Grunt Machine made him realise he’d rather be in front of the camera than behind it. Elliott had been part of the amateur acting set in Christchurch before joining the Court Theatre in 1980, which led to acting parts on television — in McPhail and Gadsby, Pioneer Women and Hang on a Minute Mate. Elliott talks about the show in this 2010 interview. Gloss won Elliott his first nomination for the Listener Film and Television awards, and helped cement his place in television history, but after a couple of seasons the show was canned, and he went from playing a ratbag to a fast-talking shock jock on TV3 drama Homeward Bound. In 1995 he starred in teleplay Trifecta as a disgraced lawyer. The result won Best Drama in the 1996 NZ Film and Television Awards. 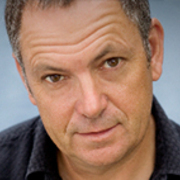 The following year he returned to the screen in a regular capacity as Doctor David Kearney on Shortland Street. Elliott found it a nice change to be playing a "straightforward and charming" role. His character would later become Chief Executive of the clinic, but the four-year run came to an end in 1999, and the next 18 months saw roles in short supply. Elliott talks about his time on and after Shortland Street in this video interview. A phone call from TVNZ changed that: Elliott was asked if he knew anything about sailing. Having grown up on the Christchurch estuary, he knew enough to want to audition for the role of host for Captain's Log, a documentary series that traced Captain James Cook’s footsteps around New Zealand. The same year, he hosted four-parter Explorers, and was named Best Presenter at the Screen Director's Guild Awards. Elliott's knack for presenting would lead to many different on-screen adventures — including this Intrepid Journeys episode in Kenya, natural history documentary Primeval New Zealand, TV series Secret New Zealand and narrating a long run of projects, including two of the country’s major documentary productions: epic 13 part history series Frontier of Dreams, and Give it a Whirl, a landmark series documenting New Zealand pop music. In 2006 Elliott wrote and presented documentary Jungle Rain, about the impact of Agent Orange on New Zealanders involved in the Vietnam War. In 2012, Elliott was again nominated for Best Supporting Actor for his role in Fiona Samuel’s Bliss – the Beginning of Katherine Mansfield. In 2014 Elliott hosted eight-part series The Art of the Architect which screened on TVNZ. He went on to an ongoing role as local businessman 'Big Mac' in acclaimed trans-Tasman drama 800 Words. Between acting gigs, Elliott is a man of many talents — he also writes motorcycle and boating reviews. Elliott lives in Auckland with his wife, Susan Trainor, and their three children Grace, Lucy and Joss.